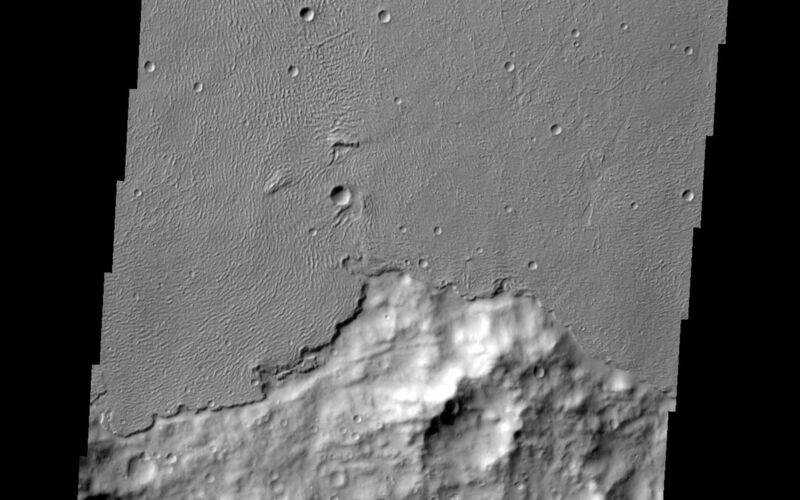 In some regions of Mars the relative ages of different materials can be determined. 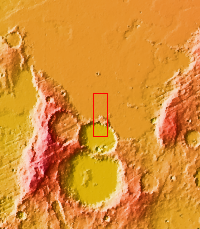 One example is shown in this VIS image. 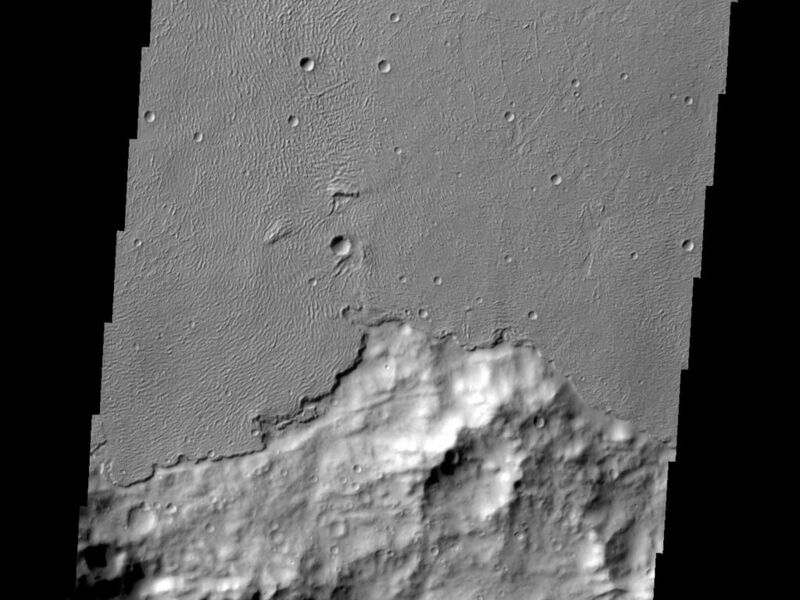 Here the younger lava flows of Daedalia Planum are on top of the older Terra Sirenum materials. 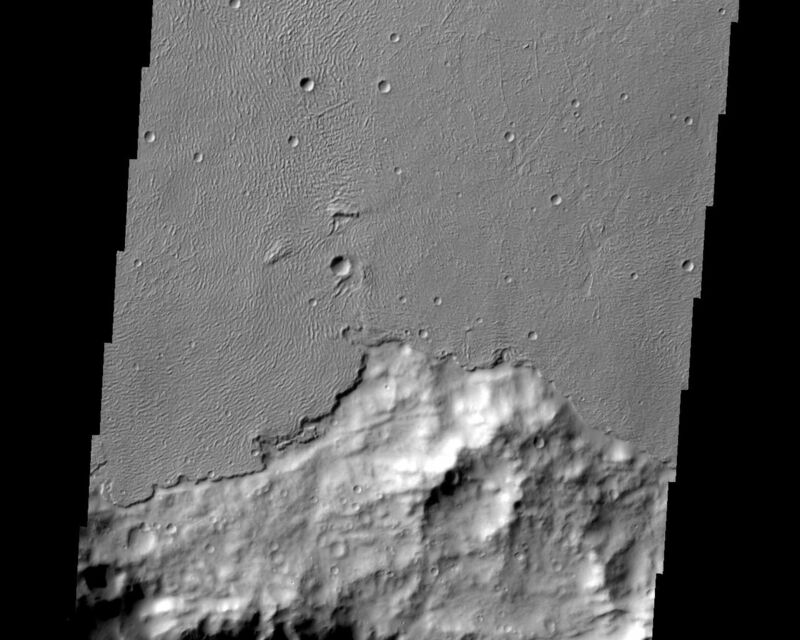 The crater rim of older material is inundated by the younger flows.